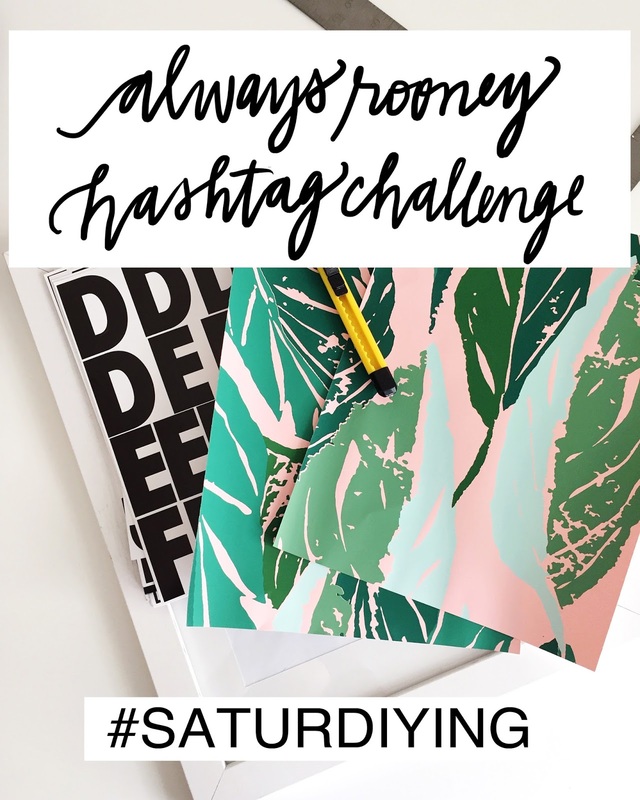 always rooney: #SaturDIYing Hashtag Challenge! This morning I started a hashtag, #SaturDIYing. Share what you are making on the weekends by using the hashtag on Instagram! I love to see progress shots of DIY's coming to life and the finished result so I thought this would be a fun challenge for all the makers out there! If you aren't following me on instagram yet, you can find me under the name, @alwaysrooney.